This will be USA ONLY due to postage. You will have 1 partner. 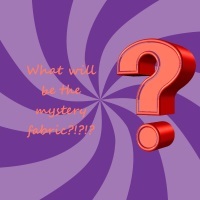 In this swap you will receive a 6 inch square of mystery fabric from me. With this piece of fabric, you will combine it with other fabrics to make something for your partner. When you sign up, you must PM me your address, and I will then send you your fabric square. If you do not PM me by the sign up deadline, you will be removed from the swap! I am allowing extra time for you to get this done, because of the extra mailing from me, and to give you the opportunity to make it profile related if you wish. 1 month to sign up; over 1 month to make and send. Imagination is the key. 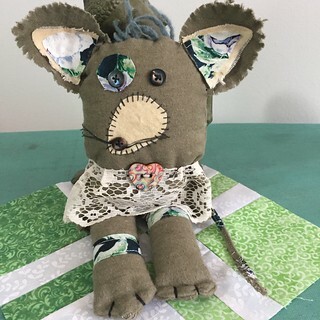 Some items you may consider making are: coasters, hot pads, mug rugs, mini art quilts, bookmarks, coin purses, small tote bags, pincushion, etc. 4.98 to play. No newbies. No exceptions. If you do not see your name in the comments that I said I sent to you, I do not have your address! For example, you can check out my flickr pic from the last Mystery fabric swap I joined. The flower fabric was the mystery fabric. The last time I hosted, it was pink with cupcakes! Typically my husband helps me pick out the fabric. I am limiting this swap to 10 participants. If we reach that threshold, I will close the swap. These mystery swaps are so much fun! I was in one of your other swaps. I remember the flower fabric.